On November 20th, the IRS announced individuals taking advantage of the increased gift and estate tax exclusion amounts in effect from 2018 to 2025 will not be adversely impacted after 2025 when the exclusion amount is scheduled to drop to levels before 2018. The Treasury Department and the IRS issued proposed regulations which implement changes made by the 2017 Tax Cuts and Jobs Act (TCJA). As a result, individuals planning to make large gifts between 2018 and 2025 can do so without concern that they will lose the tax benefit of the higher exclusion level once it decreases after 2025. In general, gift and estate taxes are calculated, using a unified rate schedule, on taxable transfers of money, property and other assets. Any tax due is determined after applying a credit – formerly known as the unified credit – based on an applicable exclusion amount. The applicable exclusion amount is the sum of the basic exclusion amount (BEA) established in the statute, and other elements (if applicable) described in the proposed regulations. The credit is first used during life to offset gift tax and any remaining credit is available to reduce or eliminate estate tax. The TCJA temporarily increased the BEA from $5 million to $10 million for tax years 2018 through 2025, with both dollar amounts adjusted for inflation. For 2018, the inflation-adjusted BEA is $11.18 million. In 2026, the BEA will revert to the 2017 level of $5 million as adjusted for inflation. To address concerns that an estate tax could apply to gifts exempt from gift tax by the increased BEA, the proposed regulations provide a special rule that allows the estate to compute its estate tax credit using the higher of the BEA applicable to gifts made during life or the BEA applicable on the date of death. To discuss more about your gift and estate tax situation, contact WFY’s Estates and Trusts Partners, Marisa Alvarado and Kevin Wiest, at info@cpa-wfy.com or (949) 910-2727. You may recall that President Trump promised to repeal the Estate and Gift Tax and their cousin, the Generation Skipping Tax. However, the enacted version of the Tax Cuts and Jobs Act signed just before Christmas 2017, left these three taxes intact. The outcome is surprising, given that the Republican Party has often condemned these taxes, and given that the House, Senate, and White House are all on the same side of the party divide. Yet, complete repeal was not accomplished. Thus, these taxes remain a huge liability for high net worth individuals and families. What the Act does accomplish is a doubling of the Estate, Gift, and Generation Skipping Tax Exemption. Starting on January 1, 2018, the exemption is $11,200,000 for individuals and $22,400,000 for married couples, up from $5,490,000 and $10,980,000 in 2017, respectively. On January 1, 2026, the exemption amounts are scheduled to revert to the 2017 levels, adjusted for inflation. The rate remains the same, at 40%. If you should pass away before 2026, your Estate will benefit from this historic change in the exemption. Mortality tables show that if you were born after 1947, you have a 50% chance of outliving the 2026 date, when the Estate Tax comes back at full force. History tells us that if we have a change of parties in power to Democrats, that 2026 date for reducing the exemption might be accelerated. Thus, it remains critical that high net worth individuals take proactive steps to reduce their exposure to the Estate Tax. Many tools are at our finger tips to help you reduce your taxable estate through gifting. The Gift Tax Exemption doubled, allowing an extraordinary opportunity for you to gift substantial appreciating assets without paying a dime of Gift Tax. Making substantial gifts can be a little frightening: it may bring up issues of control over assets, creating “Trust Babies” who have unrealistic expectations of entitlement, and reducing cash flow. Careful consideration must be given to these non-tax aspects. However, these issues can be addressed via strategies involving special types of trusts, such as Dynasty Trusts, Grantor Retained Annuity Trusts, and nontaxable sales to grantor trusts, just to name a few. You may have noticed that the media has given little mention to the effect of the Act on the income taxation of Estates and Trusts. Under the new rules, the highest Federal tax rate for a Trust or Estate is 38% on income over $12,500. Compare this with the highest Federal tax rate for individuals: 35% on $500,000 of taxable income. Thus, planning distributions to escape the extremely high rate of tax imposed on Trusts and Estates remains critically important. Since 1916, The Estate Tax Exemption has changed more than 60 times! Despite complete control by Republicans and their repeated aversion to the death tax, the Estate, Gift, and Generation Skipping Tax remains a threat to high net worth families. Should we have a change in parties over the next few years, what might Democrats do to accelerate that critical 2026 date? One thing you can bet on: Uncertainty is certain! We have guided our clients through hundreds of Estate Planning transactions resulting in millions of dollars in savings. We remain ready to point you in the right direction. Please give us a call to see how Wright Ford Young & Co. can help you! Estate, Gift and GST Tax Exemption Increases to $5,600,000. For estates of decedents who pass away during 2018, and for gifts made during 2018, the combined estate and gift tax exemption will increase to $5,600,000, up from a total of $5,490,000 for estates of decedents in 2017. The generation-skipping transfer exemption increased as well to $5,600,000. In 2018 an individual can bequeath $5,600,000 (or $11,200,000 from a married couple’s estate) to heirs and pay no federal estate or gift tax. 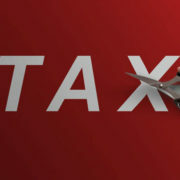 Gift Tax Annual Exclusion Increases to $15,000. For gifts made in 2018, the gift tax annual exclusion will increase to $15,000 from $14,000, where it has been since 2013. An individual can give to another individual up to this amount without utilizing any of the gift tax exemption. For example, a married couple can gift each donee up to $30,000 in 2018 without utilizing either spouse’s gift tax exemption amount. We are available to answer your estate and gift tax questions at info@cpa-wfy.com.